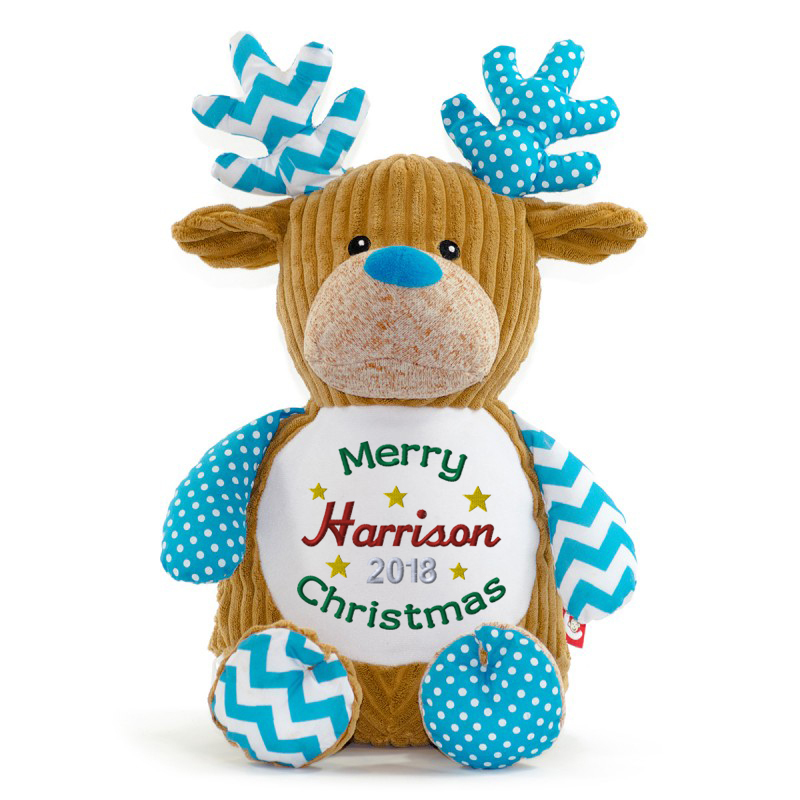 This Personalised Blue Reindeer makes the perfect gift for that special little boy on Christmas morning. Choose from one of our templates or write your own message to make this a gift that will be cherished for years. Suitable for all ages. These reindeer are popular all year round but especially so during Christmas so be sure to get your order in early as to not miss out.